As Fox Narrowboats staff prepare to run their summer boat trips to raise funds for their Charity of the year 2014 the British Heart Foundation, we take a look back 40 years at a trip undertaken in June 1974. The historic trip starts from The Middle Level Watermans Club in west End and journeys on to the Fenland Village of Three Holes. Many features are recognisable today. The narrowboat in the film “Vermuyden“, is named after the Dutch drainage engineer of the Fenlands, and belonged to our company founder Charlie Fox. This was his first personal narrowboat. This years charity trips run on Saturday 7th June. Tickets price £10 are available by calling reception on 01354 652770. All trips start and finish at Fox Narrowboats base in Marina Drive, March. 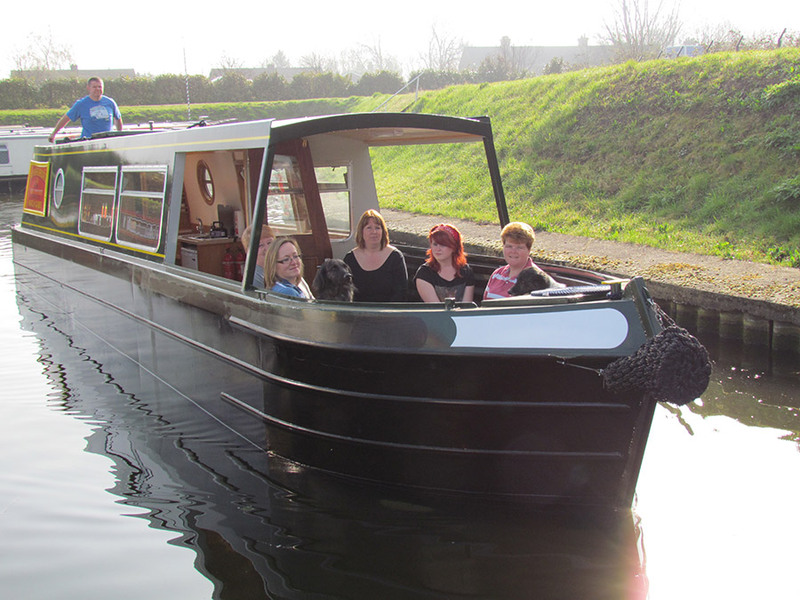 The first narrowboat trip commences at 10am running every 90 minutes through until 7pm. The journey will head east through the town of March passing Fenland cottages and the town hall before turning in open Fenland and returning to the marina. Since the start of 2014 we have already raised over £500 to support this worthy organisation. Fundraising to date has come from book stalls and trips at March town St Georges Fayre.